If you're a consumer of natural products, you undoubtedly have come across (and probably use) Dr. Bronner's Magic Soaps. Not only are they one of the top-selling organic and fair trade hygiene products, but they also provide endless reading material. The iconic labels (which you can download and read here) are crammed with philosophical musings of the company's founder, Emmanuel Bronner, encompassing everything from cleanliness to The Moral ABCs. It's a company that certainly has a point to make regarding organic and fair trade agriculture, and this summer they've boarded the ALL-ONE Ark, taking their mission to various music festivals up and down the West Coast (most recently the Joshua Tree Music Festival), and blasting them with...foam. "My grandfather Emanuel Bronner created the liquid soap that people love today," said David Bronner, the company's president, "but what is less well-known, is that my father Jim Bronner invented the leading Class-A firefighting foam used by firefighters in structure and forest fires across the country. The ALL-ONE Ark Interblastive Foam Experience brings together my grandfather and father's visions and allows us to share the joy of foam with thousands of people." At some events, Dr. Bronner's ALL-ONE Kitchen will also be present, serving fair trade organic vegan food, much of it made with Dr. Bronner's newly launched virgin organic coconut oil and hemp seed. 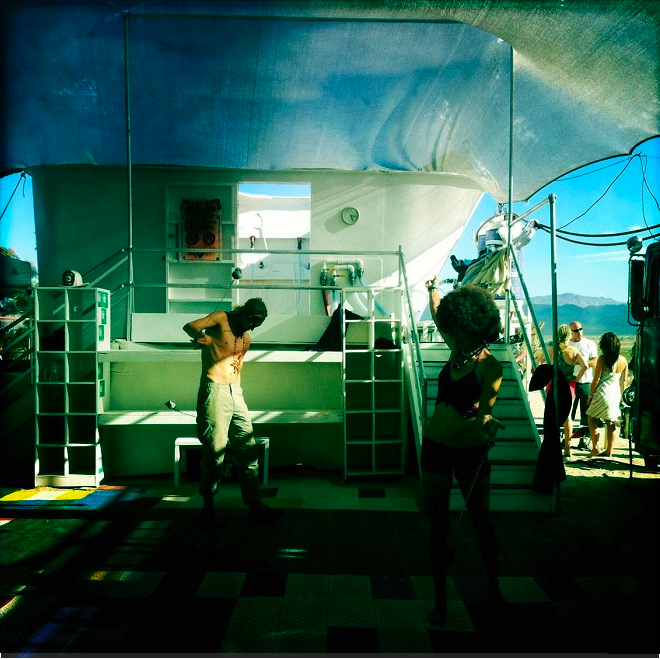 So if you're looking for a foam-tastic, fair trade, organic, musical experience, be sure and book your ticket to one of the following festivals: Lightning In A Bottle, May 27-30; Harmony Festival, June 10-13; Sonic Bloom, June 24-26; High Sierra Music Festival, June 30- July 3; Wanderlust, July 28-31; Summer Meltdown, August 12-14; and Seattle Hempfest, August 19-21. Everything looks so lovely! I love how you repurposed that clamp. 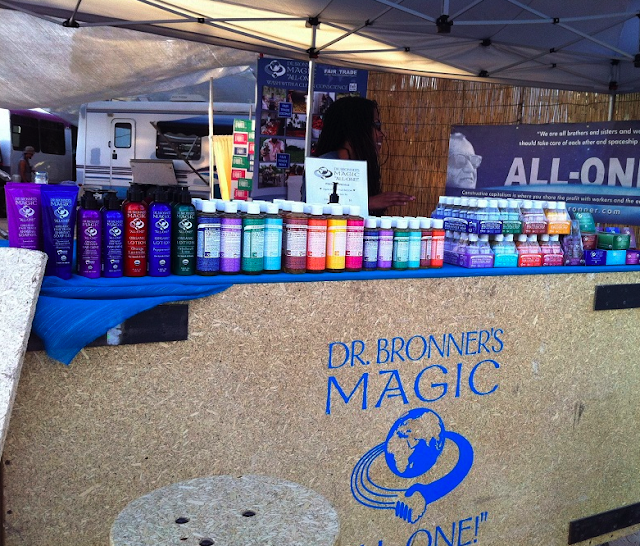 And we are devoted Dr. Bronner fans! !